Melly is always looking for more information about capybaras, and who can blame her? The real question is, why isn’t there more available? Some things are just too difficult to understand. 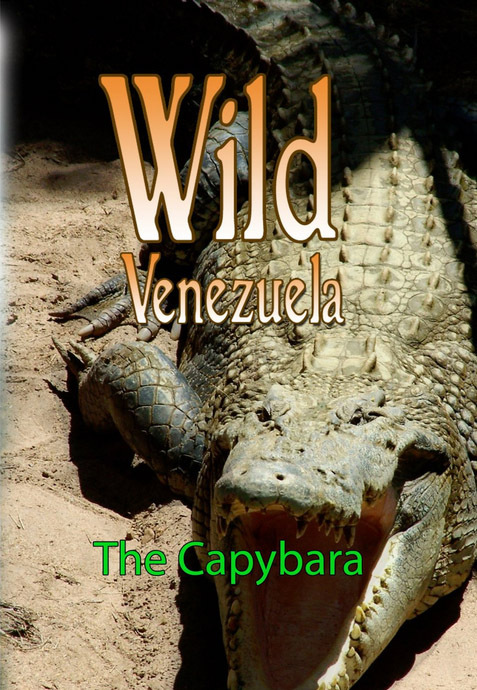 At any rate, she did find this video, Wild Venezuela: The Capybara on amazon.com and was too excited not to buy it. There’s so much going on in my life now that I just have to share it with my fans! 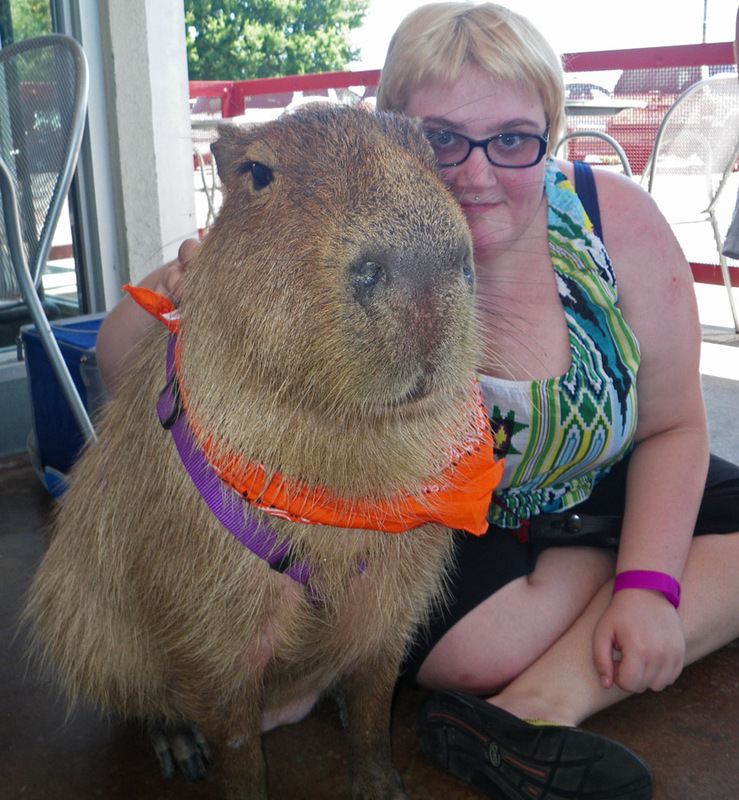 Well, I guess some of you have more interesting and exciting lives but I do pretty well for a capybara. I don’t want to sound bitter but, well, this birthday was a big letdown. I mean, last year I had a major party in the park. Tons of people visited me. I had a blueberry cake and lots of yogurt. This year my owner didn’t even bother to stay home and celebrate with me. 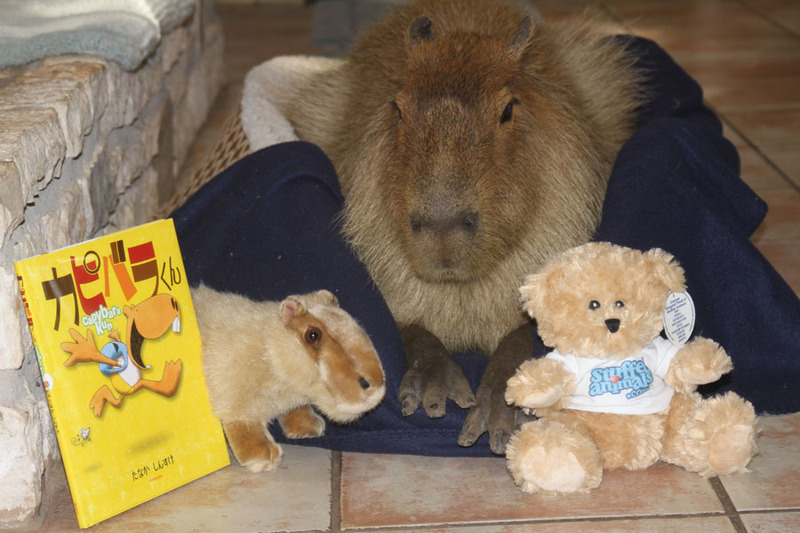 I’ve said it before and I’ll say it again, being Capybara Ambassador is the best job in the world. 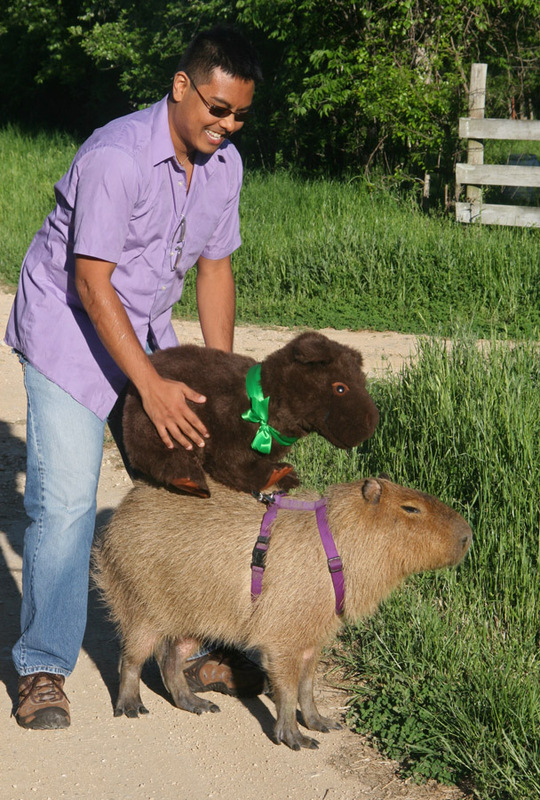 I get to go places and meet all kinds of interesting people and teach them about capybaras and rodents in general. It’s great fun. This week was a little different though, one of my internet friends, Michelle, actually came to visit me at my house. That has only happened once before when my friend Rezoner come over. 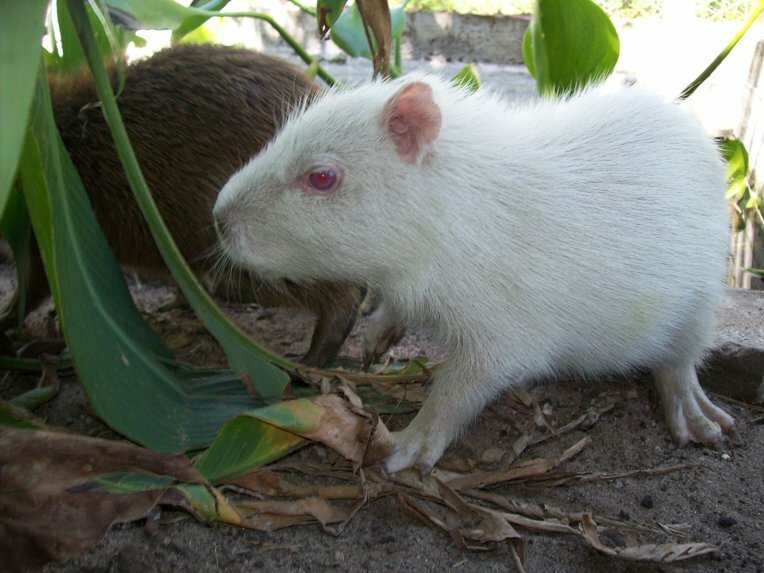 Some of you may recall my post about a baby white capybara born on Christmas day. I said she was born in Bolivia but that was not true. She was actually born at M’Bopicuá Breeding Station in Uruguay. Her caretaker, Juan Villalba-Macias, wrote me and explained my mistake. He also told me she is doing great and he sent some photos of her for me to share with my readers (after the break).